At Blackpool Medical Aesthetics, our sole aim is to ensure our client’s receive an outstanding, first class, caring, professional service from initial contact, to consultation, during treatment and right through to aftercare. We want you to feel relaxed and comfortable and feel free to ask any questions or raise any concerns you may have regarding the treatments you are considering, and the expectations/results you want to achieve. You may well ask how we aim to fulfill our promises, and that everyone offers the same level of customer service. So here’s how we’re different! 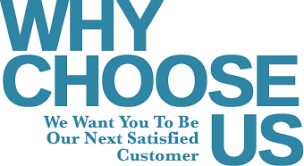 We know, a happy, satisfied client is the best promotional asset we will ever have. Why? Because a happy, satisfied client will want to share and talk about their experience with friends, family members and work colleagues and recommend our services. And, as a thank you from us, for every new client you recommend, you will be rewarded with a 10% discount on your future treatments. An unhappy, dissatisfied client is not what we want. Therefore, if you are not totally satisfied with the care and/or treatment you receive, make us aware and we will endeavour to do whatever we can within our powers and go that extra mile to turn you into a happy, satisfied client. Please contact us for prices and monthly offers.